Recover surprising amounts of lost links after a website relaunch or an expired domain purchase at the push of a button. If Google follows a link to an error page, it stops counting it. You would have LOST the link then. LJR helps with that. The Link Juice Recovery Tool (LJR) is one of the off-page SEO tools included in the LinkResearchTools® toolkit. The Link Juice Recovery Tool is the best tool to use after a website relaunch. It helps you create redirects for missing or erroneous pages that still have links pointing to it. If you buy an expired domain, you may have no idea where its backlinks point. By using the Link Juice Recovery Tool, you can compile a list of pages that you have links to that are missing. You can then automatically generate the .htaccess file for implementing the needed redirects to recover links and real human traffic. A webmaster linked to a page that you removed meanwhile. That link would be lost. Every user clicking that link is lost and sees a (hopefully nice) 404 page. To avoid this bad user experience and to preserve this traffic, you have to find the link and make the content available on this old URL or redirect it to the new URL. Nothing is more disturbing than when you are surfing the web click on a link, and then get a 404 error message. Often this kind of pages also have a couple of backlinks, so it might harm the ranking of the whole domain to lose them. The Link Juice Recovery Tool is a link reclamation tool created to find these missing pages. So no matter if you bought a new domain and wanted to re-create some Link Juice, or if you moved a domain to a new domain, this tool can help you to cope with this situation. In the Link Juice Recovery Tool you usually get the error codes regarding the request not working, e.g. “404 Not Found” or “504 Gateway Timeout”. You can see the http-code in every LJR report for reference so that you are aware what the problem is here. What are the backlinks I could recover? The LJR also shows you the individual backlinks which you could re-create. Just hover the mouse over the URL and then click on the “+” to get a detailed list. You can also use the download function to get a list of all links in Excel or CSV. Based on this data, you can now decide if it makes sense to recover the links, either with providing new content on the same page or with a redirect. .htaccess is a configuration file for use on web servers running the Apache Web Server software. You can implement http redirects with it. The Link Juice Recovery Tool includes the option to create a basic .htaccess file with 301 redirects that you can edit then. What is a 301 redirect? 301 means “moved permanently” and tells Google that the real target of the page is elsewhere (the redirect target). While the file gets generated automatically for a redirection to the homepage, please make sure that you redirect to a deep page, because redirects to the homepage count as a soft-404 and do not pass Link Juice. Make sure that you find a relevant deep page with the same or a similar topic for the redirect. The results of the LJR reports will help you to refresh the domain by implementing proper redirects and improve traffic and search engine rankings. If I buy an expired domain, what can I find out about it by using LJR? You will be able to find links to pages, folders and subdomains that don’t exist anymore. If I use LJR as one of my link building strategies, how can I be sure that the links are any good? If you find a lot of links, you can check them by using Link Detox (DTOX) in the Link Opportunity Audit mode. If you have a smaller amount or need the results quickly, you can use the Link Opportunities Review Tool (LORT). Both of these methods can show how powerful these links are as well as their Link Detox Risk (DTOXRISK®) so that you can avoid any SEO penalties. The Disavow File Audit mode of Link Detox allows you to get the link juice from links that don’t need to be disavowed anymore. One of the dangers of undisavowing links is that the page it was linking to might not exist anymore. If you are undisavowing a lot of links, you can check the links targets quickly with the LJR tool. In this article about improving your backlinks, you can see the LJR tool being used for finding links that go to non-existent pages and recovering the juice.. Which things to fix, which links to build? A famous case study by Christoph C. Cemper where he shows how to find 101 great links for Interflora after their Google Penalty recovery. This includes recovering 60 links, initially lost due to poor SEO and a CMS relaunch. 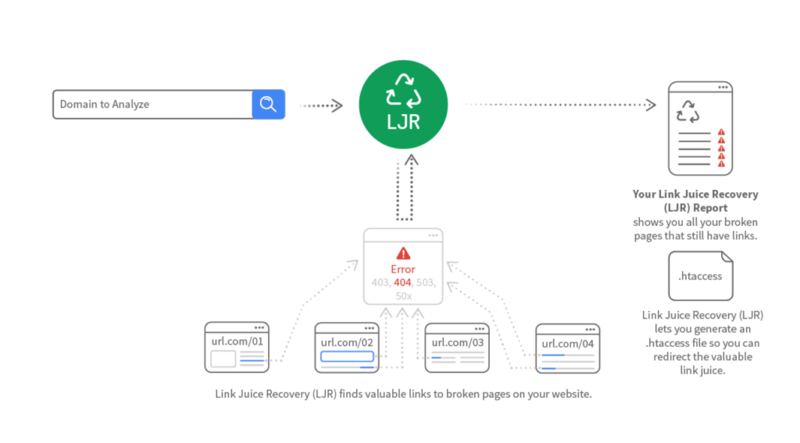 Make sure that you find and redirect the lost links with the Link Juice Recovery Tool (LJR). 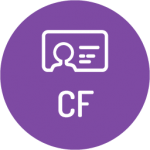 Heard about the LRT Certified Professional Workshops?